Chin-up tunes for turbulent times. There is a comfort that comes from looking up to a clear night sky. The thought that whatever troubles happened on terra firma, there are points of beauty above that never change, and never will. Lights which guided humanity for countless years, seen by kings and peasants alike. This is the spirit that flows through Michael W. Smith’s new album, A Million Lights. With a sound not out of place in a Eurovision playlist (a big plus for this particular Eurovision fan), the electo-driven poppiness of A Million Lights races along at a brisk pace. Written in response to “divisive national sentiment of 2017 and the mean-spirited banter on social media”, all whilst still grieving from his father’s death, the light-footedness of A Million Lights never steps into empty optimism. There is, instead, joy as an illogical response. It’s a happy record that remembers God’s love continues eternally in much the same way the pinpricks of starlight never cease to burst through the night sky. ‘You wake something in my heart’, a refrain of emotional recovery, as well as other lines of hope pepper the album throughout. Much like the bouncing notes of songs like Footsteps and the title song A Million Lights. That isn’t to say that the album chooses to sweep hard times beneath the bright rug of midi-pads and catchy hooks. The opening lines to Your Love - “I took a journey through the devil's door / Chasing the freedom that I thought was Yours / Just found the bottom of an icy floor and regret” - tell of searching for, to borrow a well-worn aphorism, happiness in all the wrong places. But that’s the journey of joy, is it not? Rising up from hard times, finding love that isn’t deserved and learning to accept it. Love itself is a common line throughout the album - with songs titles Your Love, Love Always Wins, and Hey Love - all of which show the freedom of finding God’s love in times where nothing could feel further away. Hardship becomes not a mountain, but simply an effect similar to looking through the wrong end of binoculars; what first seemed overbearing is shown to be smaller than you think. 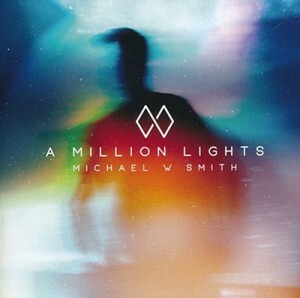 You can order A Million Lights by Micheal W. Smith right here.